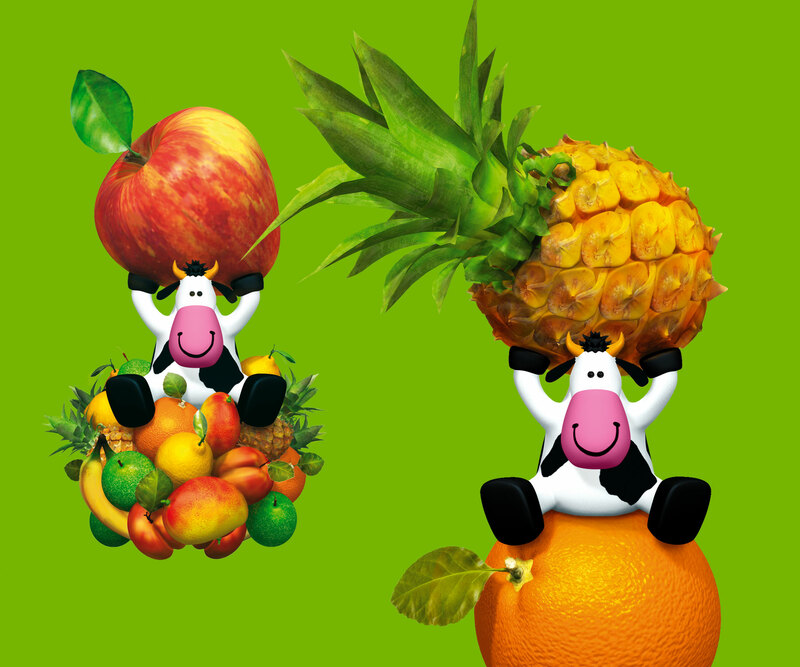 Albalact, one of the biggest players on the Romanian dairy market, commissioned Brandient for the creation of a new milk brand. Analyzing the local “milk shelf,” Brandient noticed an opportunity on the market to position “drinking milk” as happiness, joviality and fun. The name Fulga — a Romanian name sending mainly to “fulg” (snow-flake), respectively to lightness and whiteness — naturally relates to the product. Initially the client was deterred by the pastoral look of the milk shelf and asked for a “no cow” design. 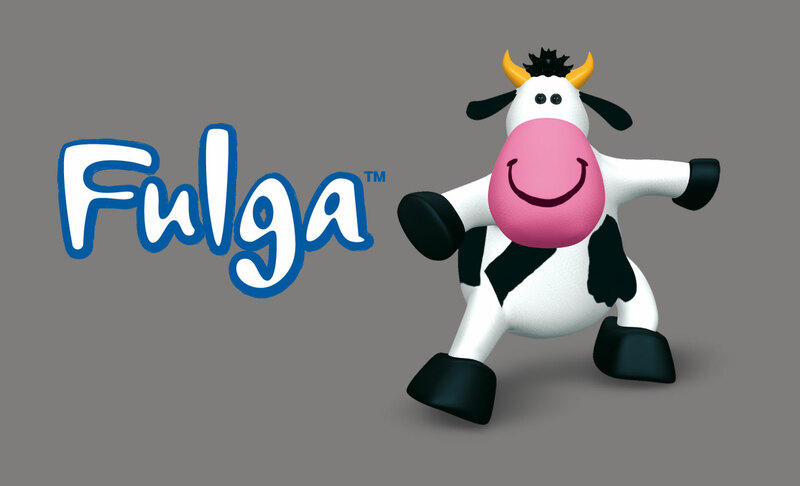 He was ultimately conquered by the designers’ proposal of Fulga — the cheeky, one-of-a-kind, and now legendary little cow. Legendary also for irreverently showing her back on the (back of the) package, Fulga became a much loved rebel. 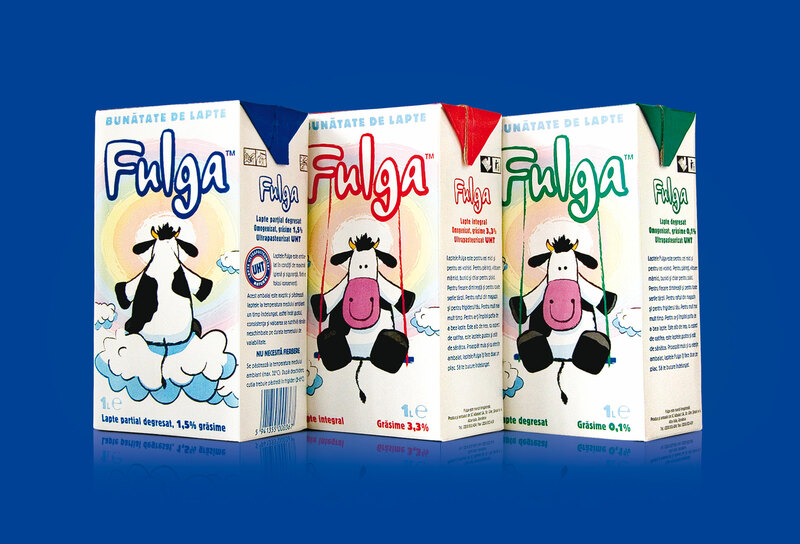 The provincial dairy producer jumped to a leading market position and became a strong national player in the following couple of years, with the Fulga brand performing at par with its global competitors on the shelf. 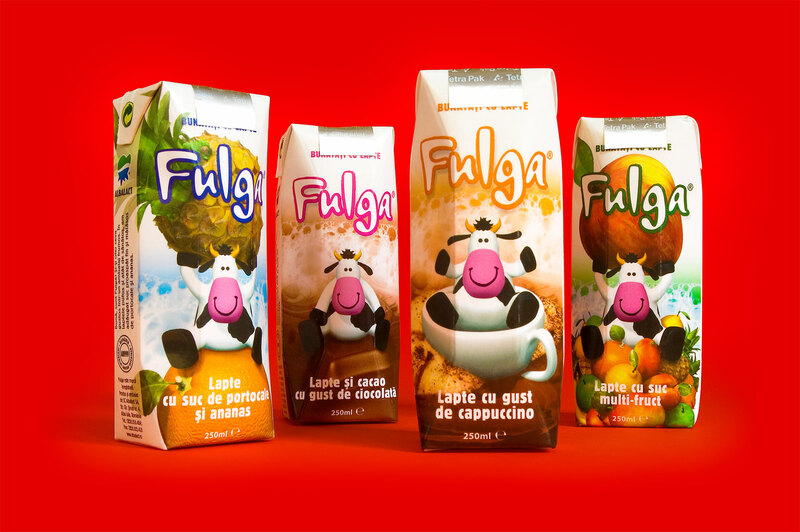 As Fulga brand managed to attract more and more loyal consumers, the extension strategy became a foundation for business growth. Brandient advised against sub-branding, but in favor of line extension — e.g. milk with juice, chocolate and coffee range, positioned as “Goodies with milk” — using color coding and differentiating design. 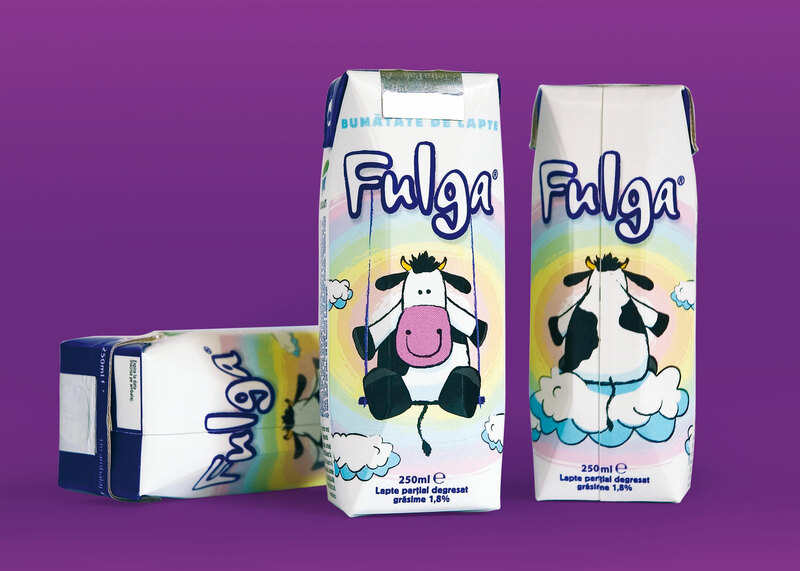 In order to fully capitalize on the character personality and success, Fulga become a 3D character and it may be seen in various playful acts on the new packaging. The explanation is simple and it is supported by children and teens’ expectations for “cartoon” graphics: movies, games and the Internet have taught them to ask for 3D.